After working together on Anurag Basu’s previous films as a music label, Bhushan Kumar has joined hands with the director for a yet to be titled film. The multi-starrer film is an action comedy that is about unavoidable jeopardies of life! The film has four different stories set in a quintessential Indian metro. It is a slice of life film with stories intersecting with each other with drama and emotion. The producer – director duo have already signed Abhishek Bachchan, Rajkummar Rao, Fatima Sana Shaikh, Aditya Roy Kapur, Sanya Malhotra & Pankaj Tripathi. Anurag has already shot major sequences with Abhishek in Mumbai and Kolkata last year. The director was busy shooting with Rajkummar and Fatima in Bhopal recently. 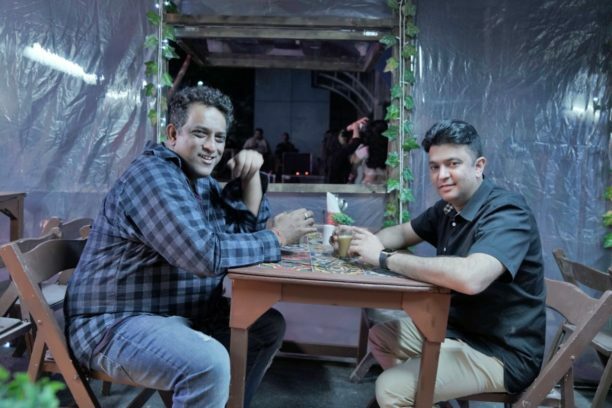 The signed actors will soon start for their respective portions while Bhushan Kumar and Anurag Basu are yet to sign few more actors to join the ensemble. The character and roles of the actors are still under wraps, but what is heard of is that every actor has a chance to explore something they haven’t tried before.